Ratings agency Fitch has kept the ratings of five of SA's major banks at BB+ with a stable outlook. BB+ is one notch below investment grade, which corresponds to Fitch's sovereign credit rating for SA. Absa, Standard Bank, Investec, Nedbank and FirstRand managed to navigate a "challenging operating environment", Fitch said in a ratings action. "In recent years the South African operating environment has been challenging due to political instability, resulting in volatility, a lack of confidence and low growth for banks," the ratings agency said. 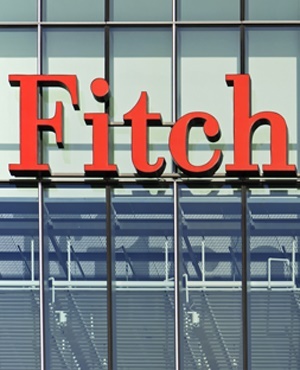 Fitch said the major players were weakened by a "concentration of activities" in SA. "In Fitch's view, [the banks] cannot be rated above the sovereign, given [their] concentration of activities within South Africa, including significant exposure to government securities and lending to the public sector," the agency said. Strengths among the banks rated included Standard Bank and Absa's standalone creditworthiness and company profile, Investec's "solid niche franchise" and management quality, Nedbank's risk management processes and FirstRand's combination of strong company profile, management quality and sound risk management. FirstRand is the most profitable bank in the sector by most measures, Fitch said. However, the agency added, FirstRand's capital buffers were considered "only adequate". "Significant deterioration of the bank's Fitch Core Capital ratio (13.0% at end-June 2018), most likely due to sharp asset quality deterioration, could drive a downgrade." Investec would be sensitive to a weakening asset quality, most likely from non-loan assets, which would have a knock-on effect on earnings and capital, the agency added. Standard Bank would be sensitive to rising exposure to lower rated markets on the African continent, where the sovereign is generally lower rated than South Africa or unrated. Nedbank's ratings would be sensitive to change in their creditworthiness relative to other rated South African issuers, Fitch said.